A tank park where civilians can watch and even ride Russian armored vehicles has been opened in the village of Prokhorovka. It’s the site of an iconic tank battle in World War II that took place in 1943. The park is part of a massive military museum currently undergoing massive expansion in the village, which is in the Belgorod region in southwestern Russia. Russian Deputy Prime Minister Dmitry Rogozin, who supervises military programs in the cabinet, attended the opening ceremony on Saturday. “We certainly want to continue with the project, because no other country endured what this land endured during those terrible years,” he said at the event. The tank park, or tankodrome, is a demonstration range that is open to the general public. It can accommodate up to 1,300 spectators, who can watch tanks, armored personnel carriers, infantry fighting vehicles and similar hardware roll across difficult terrain. The 11-hectare range has water, hills, a ruined urban landscape and a big bridge to demonstrate the capabilities of the combat vehicles. The park’s fleet includes 12 vehicles contributed by the Ministry of Defense, although five of them serve as stationary exhibits. 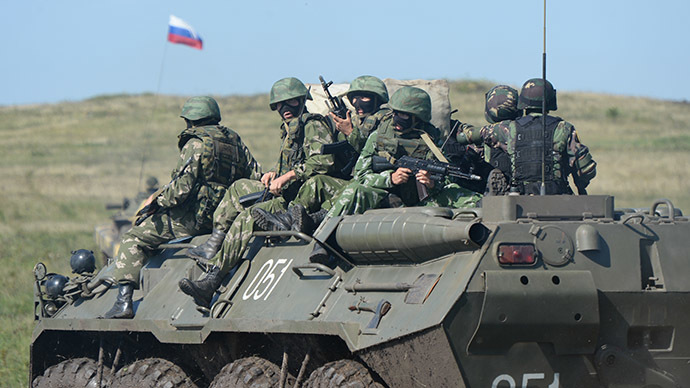 The demonstration pieces include a BTR-80 armored personnel carrier, a BMP-3 infantry fighting vehicle, a BMD-2 airborne infantry fighting vehicle and a BRDM-2 armored patrol car, according to local news website bel.ru. “We plan to add more modern models of real combat vehicles to the museum’s fleet. Any visitor will be able to ride one, feel the might of the motor roaring and the speed,” Belgorod region’s chief of urban development, Vitaliy Pertsev, said. The tank park in Prokhorovka is the first public tankodrome in Russia. It is said to be on par with the closed facility in Kubinka, Moscow region, which is operated by a military armor research institute. The next phase of the museum expansion is an indoor exposition. The decision to invest in the facilities was taken by the Russian government last year, with Rogozin promoting the project. In July 1943, a massive tank battle between the Red Army and the invading German Nazi troops took place near Prokhorovka as part of the overall Battle for Kursk. Russian forces suffered serious casualties and losses, but managed to deter a planned offensive by the Germans. The battle is credited as one of the largest clashes of tanks during World War II. Ultimately, it turned the tide for the Soviet Union, which managed to gain strategic advantages over the Nazis.